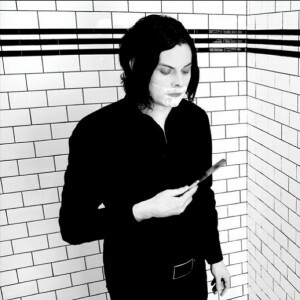 Jack White to release First solo album ‘Blunderbuss’ on April 24th!!! That’s right. Good news for everyone who likes good music. Jack White of ‘The White Stripes’, ‘Dead Weather’, and ‘The Raconteurs’ will be releasing his first solo album ever come April 24th. The album is entitled ‘Blunderbuss’. Jack White has been involved with tons of artists over the past few years, and we have all been wondering when he would releasing something solo. And to add even more good news to this story, the single, “Love Interruption,” from the record will be released today and expected to make it available for sale Monday night on iTunes. Can’t wait for this to penetrate my ears. Jack White is the hopeful for the future of rock n roll. Pre order the single straight from Third Man Records HERE!!! This entry was posted on Monday, January 30th, 2012 at 2:39 pm	and is filed under Music. You can follow any responses to this entry through the RSS 2.0 feed. You can skip to the end and leave a response. Pinging is currently not allowed. « The Game Show Network Picks Up New Trivia Show About The Bible!! !